MVNGO achieved financial support for the EVS project “Volunteering in Kirov” which gave a young italian volunteer the opportunity to spend 10 months in Russia. The project was supported by the Russian organization Vyatka Humanitarian Gymnasia, which provided an advanced course of English. The project was implemented with the support of the organization SFERA, experienced in the EVS field. Gymnasia has experience in international youth field and implements international youth programmes around the year. One of the main aims of hosting an EVS volunteer in the organization was to allow young people to know about new cultures and languages, to experience non-formal education and to learn through after-class activities and voluntary actions. Also the project was targeted at developing international cooperation in the field of volunteering and active citizenship. One volunteer from Italy, Luca Argalia, was selected by Mine Vaganti NGO and took part in the 10 months project in Russia. – organizational and methodical, analytical and informational support for staff of the hosting organization in sphere of social and cultural projects and events and youth leisure. All this objectives were achieved through the active participation of the volunteer. Luca brought new ideas into the work of the organization. 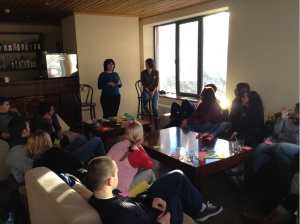 “Rural change – Lead the path!” has been a MVNGO’s Training Course (TC) that aimed to gather in Mestia, Georgia, 25 participants/experts from 10 countries. There were 6 full working days. Organisers and Trainers developed participants’ skills, knowledge and attitudes concerning how to involve youth people living in the rural area in policy-making processes in order to face off youth unemployment. 2013 was the year of the active citizenship therefore the purpose was to face off the sense of isolation encouraging new (green) entrepreneurial idea in the rural areas. 3. To explore eco-education approach as a tool for non formal education recognition. This project raised awareness on the situation of european villages and offered the opportunity to meet possible partner groups which may influence the rural areas at different levels, providing them the access to tools which have an impact on the communities they live in. All of the participants were challenged to reflect critically upon themselves, upon the rural communities and upon their role and potential in their development. The big problem many countries faced was the underdevelopment of rural localities. Rural localities are losing population. Youngsters from villages leave their homes in favor of big cities. As active young citizens represent the key resource for the development of the society, the countryside is left with no chances for recovery while youngsters continue to leave. The message to convey is: “Do not follow where the path may lead. Go instead where there is no path and leave a trail” (Harold R. McAlindon). Organisers believe that especially the European youth sector can and will benefit from projects like this one enormously in future years. Therefore we wanted to invest time, capacity and resources to share best practice examples and work with other young Europeans to create change in what concerns the perception of rural communities. – Through discussions, reflecting on how to raise awareness in the business and governmental sector abut what concerns support for youth living in the rural areas. We believe that non-formal education is an ideal tool to develop the potential, the skills and abilities of the participants so that they could act as multipliers and create impact in the communities they live in. A combination of different creative and interactive methods were used by the Trainers team and designed upon the profile of participants. Some of the examples of methods that were used in this TC: – theoretical inputs, compass/salto sessions, individual/group activities, group exercises, work on examples in a small group, case studies, real attempt. The entire course was designed as a mutual learning situation in which, using diverse methods, participants were able to compare their approaches and experiences with environment as the key resource to capitablize upon. The Trainers established a theoretical framework and common reference points for learning and communication in this course, and they will also provide a framework where participants will be able to experience. The course methodology foreseen direct involvement of the organisations that were present at the TC. The TC sessions were held by 2 international trainers with huge experience in the youth field and non-formal education, Nona Balavadze from Alliance For Society Advancement (ASA) from Georgia and Roberto Solinas from MVNGO. “Let’s break the Bias” was a 1.2 “Youth in Action” transnational project aimed at facilitating interreligious dialogue. This project was conceived as a result of a cooperation between Group Dialogue in Diyarbakır and Mine Vaganti NGO, as a bilateral cooperation between Italy and Turkey. In this project, the aim was to bring together young people promoting the sense of social inclusion. The ambitious aim was to remove prejudices providing the recognition of new cultures. If desired, people of different religions can live together, play together and working as a team. 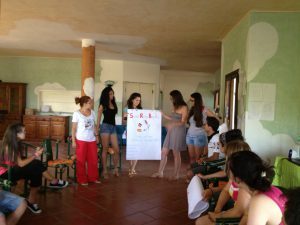 The project was five-month-long and it foresaw a first part in Turkey and a second part (Youth Exchange) comprising workshops and non formal education sessions to be held in the island of Sardinia (February, 10th-15th, 2014). 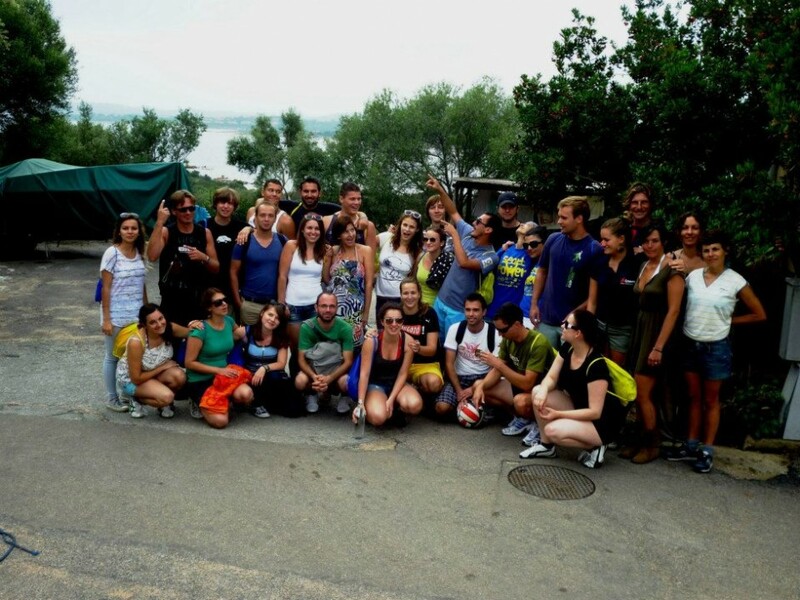 The participants involved in the project were 12: 8 from Turkey and 4 from Italy. 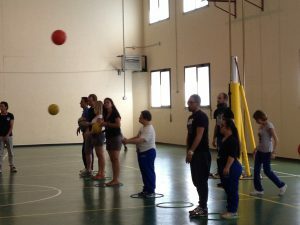 “Inclusive Sport for all” was a MVNGO’s Training Course (TC) that dealt with the importance of the Sport as an educational tool for promoting social inclusion. The 12 countries involved in the project were the following: Turkey, Spain, Poland, Norway, Uk, Slovenia, Romania Estonia, France, Croatia, Bulgaria plus Italy, in total 27 participants. Target group: social workers, youth workers, youth leaders experienced in sport activity or who would like to use Sport as an educational method. – To create a network of professionals (youth leader, social worker and Trainer) who work with people fewer opportunities using those new methodologies and ready to develop new YIA projects raising awareness on personal, social and professional development during the work activity. The working method proposed by the Trainers started from a wider point of view, macro areas such as values, education and intercultural dialogue through Sport, to the specific activities such as tools and methods to be held during the daily working life in every NGOs or youth centers when you can make the difference for building a civic society (bottom-up process). Sport has an educational dimension and plays a social, cultural and recreational role. The main topic of this project is to use “sports as a way of improving active citizenship activities, cultural exchange and social inclusion of young people”. Sport activity has enormous potential of social inclusion thanks to its capacity to bring all the people together, regardless of age, gender or social origin. Organisers and Trainers wanted to underline the importance of Sport in informal, non formal and formal educational context. Usually, during a Sport activity, people could learn a lot of things (rules, fair play ecc) even if they are embedded in a informal context. To play a game means to use an universal language which follow rules and try to work hard in order to reach the aim: to win the competition with the others and/or yourself. The Trainers leaded sessions based on spreading new methods about Sport as a tool for inclusion of people with fewer opportunities: youth with disabilities, migrants, persons discriminated by gender and people from rural area. Actually, Sport is useful for breaking stereotypes (facilitating the process of integration of immigrants in the society), promoting mutual understanding and intercultural dialogue (use Sport as an universal language) and facilitating the process of inclusion of people with fewer opportunities such as young people from rural areas or suburbs. Therefore its values are fundamental in the third sector’s working processes, where they can be used in order to prevent the sense of intolerance, social exclusion and marginalization. One of the most important areas in which we can successfully use Sport is in relation to the disability. Sport is a tool to contrast racism and xenophobia and it is a souce of support in including people with special needs.The TC followed the non formal education approach: a combination of different creative and interactive methods will be used by the Trainers team and designed upon the profile of participants. Some examples of the proposed working methods: theoretical inputs, round table, Compass/Salto sessions, individual/group activities, group exercises, work on examples in a small group, case studies, real attempts. The Trainers established a theoretical framework and common reference points for learning and communication in this course, and the course methodology foresees direct involvement of the organisations which already work on the topic and that will be present at the TC. We asked 2 internationally accredited trainers with huge experience in the youth field and non-formal education through Sport, Antonio Saccone from SPOLINT and Gary Grieve from ISCA (International Sport and Association) to be the experts in our project. “Two Islands, One Move” (TIOM) was a MVNGO project with the aim to create an open exchange and gather together in a place youngsters coming from two very similar communities: Corsica (France) and Sardinia (Italy), two islands separated by a passage of only fifty minutes boat. TIOM has taken part of the annual European wide campaign; the “European Move Week”. Promoted by the International Sport and Culture Association (ISCA), this special week, with events all around Europe, encourages every year sports and physical activities and their positive impact on European societies in order to have 100 million more active participants before 2020. The project lasted from Monday October 7th until Saturday, October 12th and took place in Arzachena (Gallura, Sardinia). 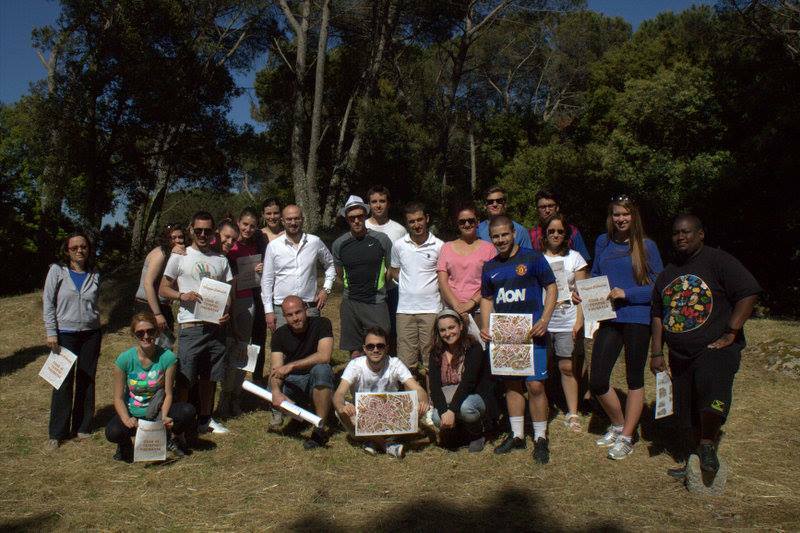 The participants were 60 young Europeans aged 15-19 from Sardinia and Corsica. The promoter/organiser was Mine Vaganti European Youth Group (MVNGO), an association that promotes positive values of Sport and healthy life style among youngsters. MVNGO was the coordinator in Sardinia. The other promoter, Centre du Sport et de la Jeunesse de Corse (CSJC), is a public organisation that promotes sport and cultural activities toward Corsican youth. 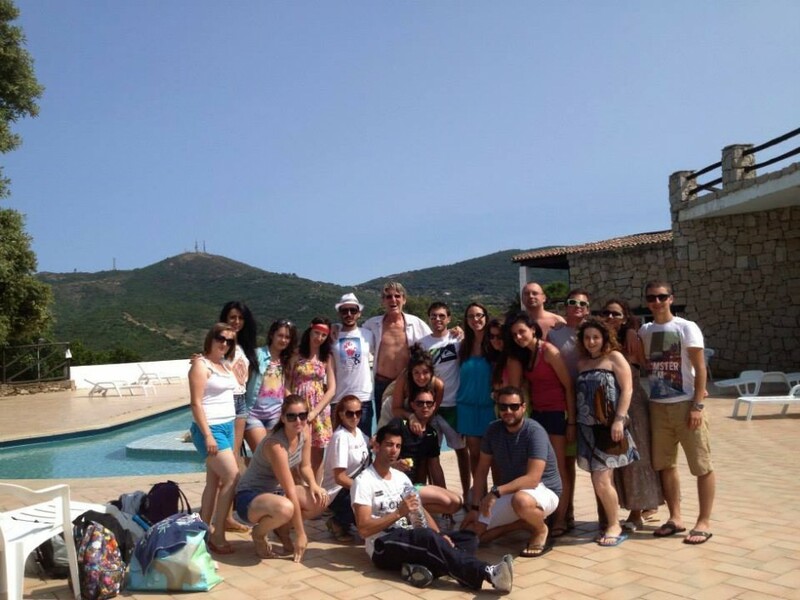 CSJC was be the coordinator in Corsica. Our idea was to use the English language as main communicational tool during this 6 days of youth exchange, with young people actively involved in each activities coordinated by their youth leaders. The main activities of this project were: a) City cultural game: treasure hunt, b) health circuit outside the city, c) Flash mobs on the venue, d) Non-formal education workshops during the activities listed above and open dialogue. • Lack of Education about the possibility of moving abroad. 3) Highlight solidarity and tolerance between two communities. Healthy lifestyle: The two islands have a strong common touristic tradition, hosting many outdoor lovers from many different countries. However, local communities from both islands are not used to experience themselves the beauty of their own areas. TIOM has valorised underexploited natural areas through outdoor sport and gave new opportunities to develop oneself towards physical activities in both landscapes. European active citizenship: The two islands are identical in their mediterranean culture and history but different in their borders. By involving youngsters in the creation of the activities, TIOM has supported participants to feel entirely part of the project, opening borders and creating a link between the islands, using cultural activities through non-formal education workshops and creating open discussion spaces. “Two Islands, One Move” has proved the idea of an European community with a unique identity and strongly intertwined destinies. Solidarity and tolerance: The applicant organisation, Mine Vaganti works since 2010 to promote sport as a tool for integration and to fight against those social problems in the North of Sardinia. Sardinia and Corsica are isolated from their mainland, creating a feeling of exclusion. They are closer to each other than to their mainlands. By developing international opportunities, highlighting the 50 minutes short way to meet each other, TIOM erased differences and isolation feelings. The international exchange through culture and physical activities entered in a process of a common cultural legacy heritage and discovery, pedagogical education on physical activity for all, and started an open dialogue between common problems and their solutions. Youth in Action 1.1 Sounds Good! This “Youth in Action” MVNGO’s Youth Exchange (YE) dealt with the importance of the Music as an universal language that could be used for promoting intercultural dialogue thanks to its high potential in fighting racism and xenophobia. The project focused on a cultural exchange between disadvantaged young people, mainly unemployed youth of mixed gender with different musical backgrounds. As a follow up program we wanted to extend this exchange on a European wide scale by organizing an annual multi-cultural week for amateur young musicians held in Sardinia. The main aim of this YE was to promote creativeness and intercultural dialogue through music. 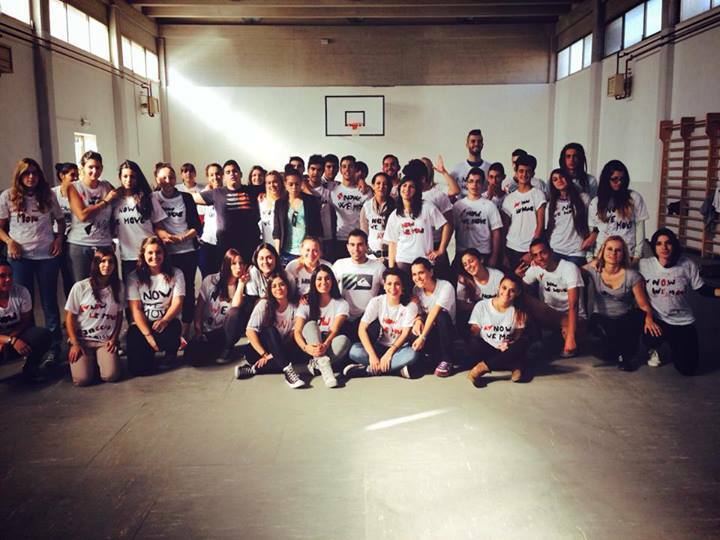 The objectives of the project were to develop a mutual understanding, enhance creativity and sense of entrepreneurship, combat racism and xenophobia by dividing the participants in eight groups each consisting of four nationalities and work together and as a result, each group produced a song/dance where the lyrics will reflect a different theme with European spirit. Music is an area of human activity which elicits great interest among citizens of the EU and it has as enormous potential of bringing them together, reaching out to all, regardless of age, gender or social origin. Music represents our identity, displaying our lives like a language does: we can trace our roots speaking about music. Music is often related to one’s national culture because it commemorates historical and personal events like weddings or funerals and expresses feelings. During the YE, we discovered our roots and tradition using music and the folk dance. Most traditional music has meaningful lyrics as poetry. The melodies that occured with inspiration and improvisation and the melodies that spread between people with becoming varied, contain all the elements of daily life. Sardinian traditional and folk music has ancient roots. Our rural polyphonic chanting is “cantu a tenore” and express our feelings during different times of our lives; it can express love, fears, sadness. So, starting from that point, we aimed to invite young people who could share their tradition and present their own identity and culture, during the quiz-workshop, performing traditional dance, discussing the past and present position of our society, practicing culture nights which differ from each other’s, in our town, making people aware about the relationship between music and cultural identity with the help of panel discussion that we arranged, making a flash mob in the main square aimed to involve more local young people about it, visiting the natural and historical places near the city. Youth in Action 1.2 Local Action Decisamente Abili! 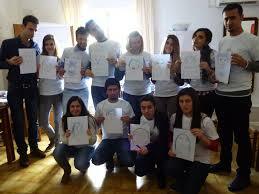 MVNGO organized the long term Youth Initiative “Decisamente Abili!”, granted by Youth in Action Programme, in 2012. 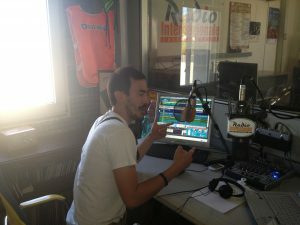 The goal of “Decisamente Abili” was to include disabled people in a Region of Sardinia called Gallura and to sensitize the community about this topic. Theatre and Sport were used as tool for social inclusion. The main topic of this project was to use those instruments as a tool for improving active citizenship activities, cultural exchange and social inclusion of disabled young people. The aim was to promote participation of young people in these activities which enable minorities to integrate socially – in this case, disabled people – and to create / empower personal, social and communicative skills, necessary to help a process of integration and inclusion. Theatre: disabled participants had experience in theatre and led the Othersin acquiring some of the so-called “artistic skills”. The YI also wanted to offer concrete moments of growth for the community offering new forms of artistic expression that will be promoted when there was the “mise en scene”. Sport: In addition to improving the health of European citizens, Sport has an educational dimension and plays a social, cultural and recreational role. The core of this part of the project was the invention of a new game “au pair”: the participants decided together the rules of the game to play at the end of the YI. The final objective of the YI was to form competences on how to use a new methodology of education and to create a network of people interested in using these new skills and in becoming facilitators of social inclusion among disabled people. Youth in Action 1.1 ExSport ME Import US! This Exchange dealt with the importance of the Sport values and dynamics and their impact on health and society. The main focus was placed on Sport as a tool to fight violence / social exclusion and promote inclusion of minorities. The main topic of this project was to use “Sports as a way of improving active citizenship activities, cultural exchange and social inclusion of young people”. Sport is an area of human activity which takes a great interest on citizens of the EU and has enormous potential for bringing them together, reaching out to all, regardless of age, gender or social origin. In addition to improving the health of European citizens, Sport has an educational dimension and plays a social, cultural and recreational role. The EU encourages support for Sport and physical activity through various policy initiatives in the field of education and training, including the development of social and civic competences. The aim wass to promote participation of young people in Sports activities which enable minorities to integrate socially – for instance, disabled people – and to create / empower personal, social and communicative skills, necessary to help a process of integration and inclusion. The objective was also to form competences on how to use the methodology “Education through Sport” and to create a network of people interested in using these new skills. 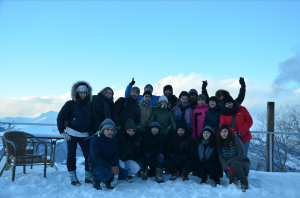 The activities we organized have included: workshops, talks, role-playing, visits, debates and practice of several team-sports in outdoor and indoor context. The core and thread of this exchange were the so called “Mini Olympic/Paralympic Games”, Sport’s activities – adaptable for people with disability – between multinational teams composed by participants from all the European organizations that take part in it. The important thing in life is not the triumph but the struggle, the essential thing is not to have conquered but to have fought well. (P. De Coubertin). 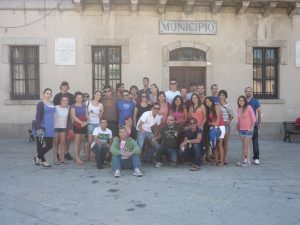 MVNGO organised a Cultural Exchange granted by the “Youth in Action” Programme in April 2012. The goal of “Countreeside” was for the participants to acquire some of the so-called Green Skills. Troughout a non formal education methodology we increased the awareness of the participants on the basis that only by knowing Nature can an inborn characteristic in human beings be stimulated: their eco-friendly side/attitude. Environmental education is crucial for the constitution of a society that is sustainable only if supported by the formation of an active citizenship and the promotion of a critical and propositive attitude in European citizens. The CE wanted to demonstrate eco-orientated behavior and foster the development of ecological values that interact directly with the human society, as they are innovative drivers that allow the development of these dynamics that can also create more opportunities in the working area. More specifically, we organized workshops on complex themes as the one about Green Energies, but also recreative games in complete harmony with the environment. We organized excursions in the nearby area of Sant’Antonio di Gallura, Telti and Tavolara Island (some of the scheduled activities were changed and adapted because one of the participants got hurt) diplaying our typical ecosystems, we learned how to grow and maintain a vegetable garden, we discussed about the relation between human being and the nature ( visitng Lake Liscia dike) and had moments in wich we learned old man-nature rites in rural habitations called Stazzi, typical for the region of Gallura. Also we saw the production cycle of milk ‘from the cow to the glass’, the production of bread and others biological food following ancient recipes. The activities above were hold in an almost uncontaminated naturalistic context, the Gallurish country side, where life is still marked by the cycle of Nature (alternation of the seasons and production for own consumation). The core of the project was the creation of Teams composed of participants that were aimed to provide the best solutions for the ecosystem of the Gallurish territory but that are valid anywhere (Glocal model). The CE also wanted to offer concrete moments of growth: new forms of artistic expression with recycled materials and a contest called “The Greenest Dish”, a gastronomical competition with dishes created with ingredients provided by Nature during the CE.